UNSRI has an extensive network of local as well as international partners from higher education institutions, leading companies as well as the Indonesian government. The university’s esteemed international partners include UNESCO, University of Kentucky, Ohio University, Mie University and the ASEAN Institute of Technology; among others. This demonstrates the university’s capacity to develop collaboration on a diverse range of research topics from agriculture to public health. As such, the partnerships at UNSRI strengthen its reputation as a reliable partner for prominent local and international partners in search of skilled local talent. As a university focused on research development, UNSRI welcomes partnerships from higher education institutions for collaborations on cutting-edge research projects. The university has partnered with Japanese universities in the field of agriculture and environmental sustainability as well as organisations such as UNESCO in the field of Plant Science. Furthermore, the university has built a research consortium with universities in Germany and China among others. Through such consortiums, UNSRI stands at the forefront of optimising added-value research opportunities that can be executed in a coordinated, strategic manner. This also showcases UNSRI’s human resource development through its training initiatives. UNSRI’s well-established Research Institutes as well as the Community Services and Development Institutes engage in a number of community outreach efforts. Through these Research Institutes, UNSRI has been able to enhance the learning experience for its students as well as contribute to the local region through its research projects. Sumatra’s intensifying economic development has made research initiatives a vital aspect of its sustainable development. UNSRI continues to educate local communities in areas of environmental sustainability, agriculture and public health which will benefit the region for the long-term and enable the university to be a contributor to the region’s development trajectory. 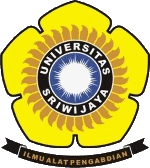 Sriwijaya University is a leading state university in Indonesia offering a full range of study programs encompassing subjects such as law, economics, engineering and medicine. What more can you tell us about your institution and its main strategies going forward? Sriwijaya University seeks to build a reputation on the world stage. As such, we are prioritizing on becoming a research university as our foremost competence, including by requiring our students to carry out research as a prerequisite to graduating. Furthermore, in aligning ourselves with the trend of globalisation, we have begun the long process of standardising our programmes to be on par with other institutions across the globe. To serve the goal of becoming a research university, we currently already have a roadmap for research in place focusing on three particular topics; energy, ecology and food sustainability. Another progress which we have also experienced is that our research budget continues to increase every year. As a university located in South Sumatera, our students come from all over Indonesia, even regions such as Manado and Papua. This also applies for overseas students as we have students from countries like Malaysia, Bangladesh, as well as from other places throughout the world. Our facilities are also comparable to universities in Java as Indonesia’s main hub for higher education, including in the availability of more than 110 study programmes to choose from. For our future plans, we plan to establish a Faculty of Sports in keeping with South Sumatra’s coming into prominence in that domain. 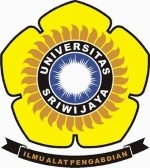 At present, Sriwijaya University has joint research programs with various Japanese universities mainly on the topics of agriculture and the environment, as well as with Malaysia for technical engineering, and with the Netherlands on the subjects of mathematics and water management, to name a few. Indonesia�s higher education sector is quite competitive with the presence of approximately 3,400 institutions. In your opinion, what are Sriwijaya University main advantages is staying ahead of the competition? We are not seeing this as a rivalry in the same sense as competition between businesses. Universitas Sriwijaya is inclined to conduct collaborations in research as we have capabilities which we can offer. For instance, we have our agricultural studies whose professors have worked together with universities in Germany, China, as well as other countries. This strategy has resulted in us being able to build a sort of research consortiums involving institutions from different areas of expertise, as well as establish a centre for research excellence for some of our study programmes. President Joko Widodo has made it his commitment to focus on better improving the quality of Indonesia�s education sector to ensure that its output matches the needs of the country�s industries. From your perspective, what should be the government�s priorities in carrying out this effort? The government needs to take real action and implement what has been agreed upon. Collaborations cannot only be on paper in that I myself have signed many MoUs where no follow-ups took place. The government can also bridge the information gap between the industry and higher-learning institutions by finding out and letting us know what exactly the industry need. Sriwijaya University is quite familiar with engaging foreign counterparts for joint research activities as well as other purposes. What are your future plans for partnerships? In November 2015, Sriwijaya University is scheduled to cooperate with numerous Japanese universities. This list is certain to grow as we have been receiving further requests. Overall, we see the main potential for collaboration in the ASEAN region. The broader Asia as well as Australia is also prospective for us. With regards to the private sector, what areas do Sriwijaya University see the most potential for collaboration? We especially have a longstanding cooperation with the mining sector. Part of the engagement between our students and mining companies, which usually takes part in the sixth semester, is that these companies recruit them where they will start their employment upon graduating. The reason for this is because there are not many schools in Indonesia that have a curriculum suitable for this industry. These companies typically come from mining regions such as Kalimantan to identify our best students and even offer them a scholarship for the rest of their studies. What is your final message that you would like to share with our readers? In education, we must serve to the demands of industries which itself evolves according to the ever-changing needs of humanity.